Fuel economy standards together with pricing will help reduce auto use and emissions. 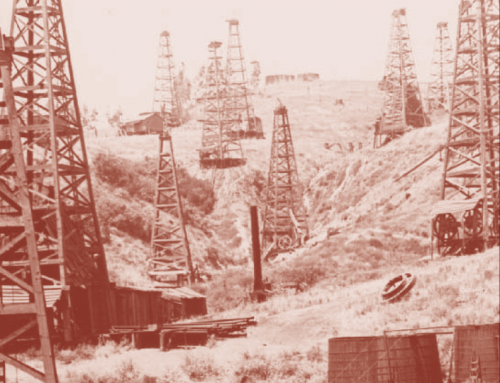 In the early 1970s, the American Petroleum Institute had a slogan: “A nation that runs on oil can’t afford to run short.” Yet at the beginning of 1973, the US relied on oil for 46 percent of its energy supply, of which 32 percent was imported. Today we import about two thirds of the oil we consume. 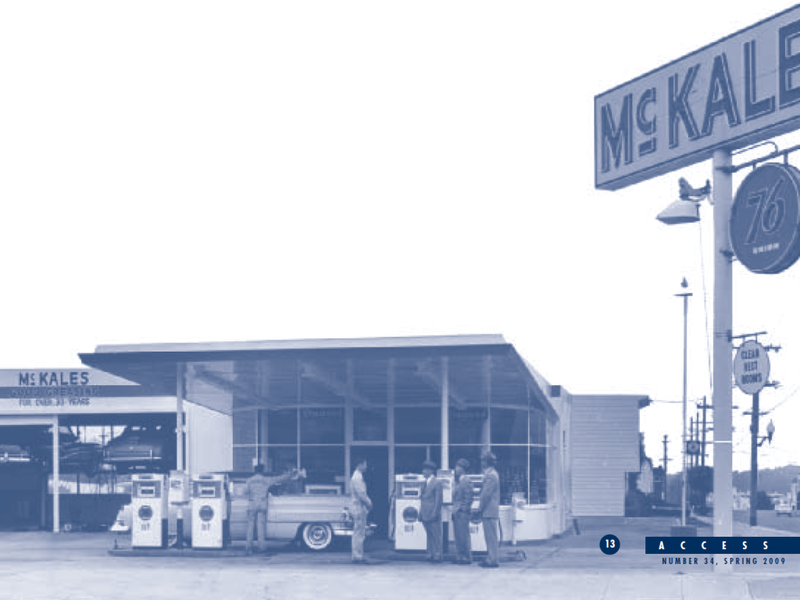 The price of crude oil in early 1973 was around $3 a barrel, and gasoline cost 39 cents a gallon. In 2009 dollars, those figures are close to $15 a barrel and $1.85 a gallon. Crude oil prices in early 2009 were still almost three times higher than in 1973. 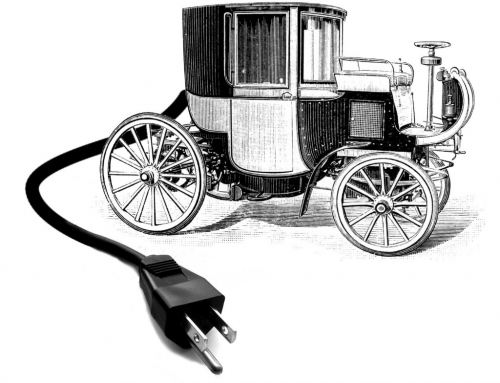 However, the fuel cost for driving a mile is less today than in 1973, because cars are more fuel-efficient and it takes thirty percent less fuel to go a distance today than in 1973. 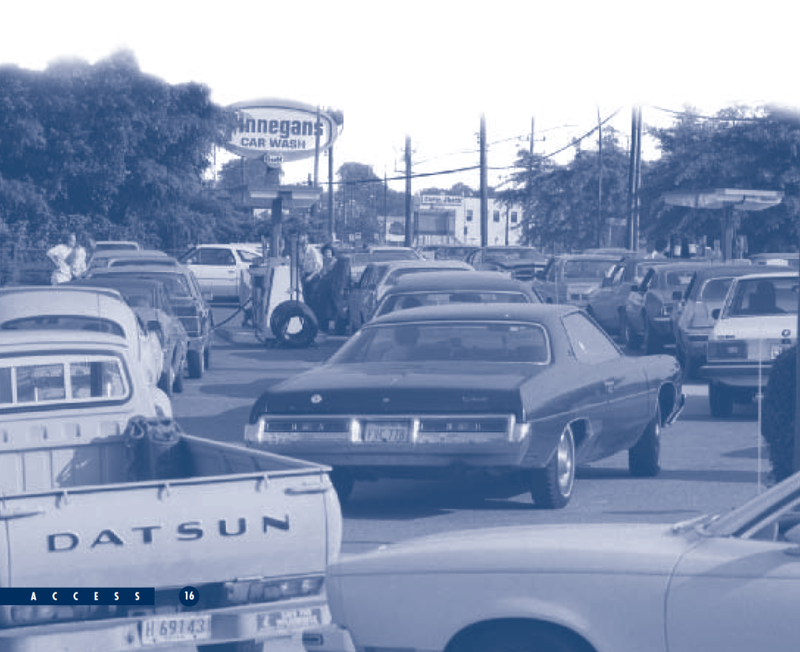 When oil supplies were interrupted by the embargo, the US Congress and President Ford decided that the government should mandate higher fuel economy for cars. American policy makers and drivers understood how vulnerable the nation’s transport system was to even a partial fuel supply cut-off. Fuel prices had jumped, and fuel availability was uncertain. In 1975, Congress enacted the Corporate Average Fuel Economy law, or CAFE, for motor vehicles. In 2007 lawmakers raised the CAFE standards for vehicles sold in 2012 and later. But in light of fluctuating oil prices and concerns about greenhouse gas emissions, many today think even stronger standards will make both America and the faltering car industry more robust when the inevitable rise in oil prices occurs with economic recovery. Today we import about two thirds of the oil we consume. CAFE was timed to take effect in summer 1977. The standards were to be phased in over time, reaching their maximum for cars, 27.5 mpg, by model year 1985. New cars carried labels showing energy use under “typical” urban and non-urban driving conditions. CAFE standards applied to each producer’s sales-weighted fleetwide average fuel economy, and car companies had to pay fines if their fleet average failed to meet the standard. Manufacturers whose averages exceeded standards could earn credits to use against years when they fell below mandated levels. Additionally, a “gas guzzler” tax was applied to cars and trucks that did not meet a minimum mpg level. 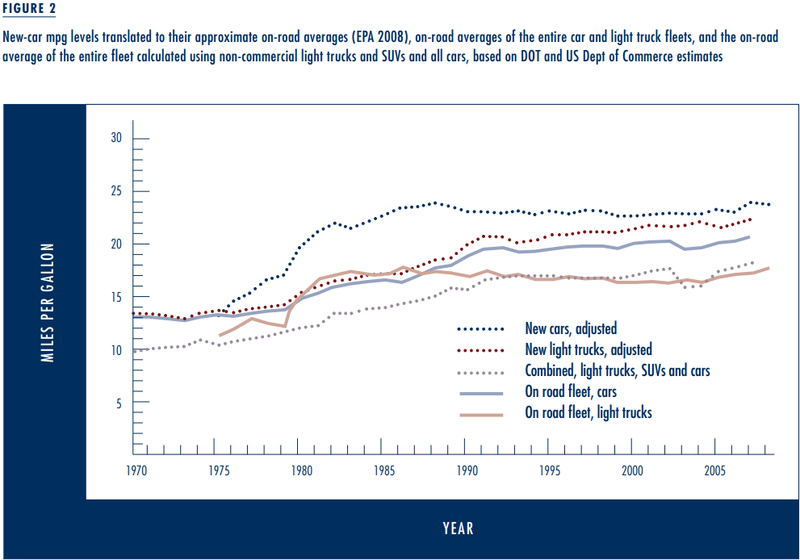 Figure 1 shows the historical mpg levels of cars and light trucks as well as mandated levels. Note that in 1986–1988 standards were relaxed somewhat in response to manufacturer claims that they could not sell cars that met the required aver- age fuel economy. When CAFE was passed, the fuel price increases of 1973 had already had some effect on automobile fuel efficiency. Consumers had begun buying somewhat smaller and less powerful cars, and automakers had announced plans to make lighter cars and use technologies that would save fuel. Thus CAFE reinforced behavior that was already being driven by prices. Then in 1979, a new political crisis (in Iran) set off an even greater run-up in oil prices. 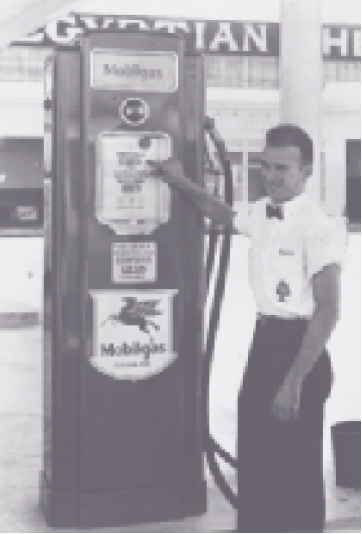 At the peak, in 1980-81, a gallon of gasoline cost around $2.50 in 2009 terms. At that time it still took almost 25 percent more gallons per mile to run an average car, so the fuel cost of driving was higher than in the spring of 2009. Gasoline prices in real terms started to slide down in 1982, and in 1986 crashed to only slightly above their real pre-1973 values. Supported by the CAFE standards, however, new vehicle efficiency did not sink back to values seen in the 1970s; instead it slowly increased through the late ’80s and then stayed close to CAFE values, all during a time when energy prices were low. 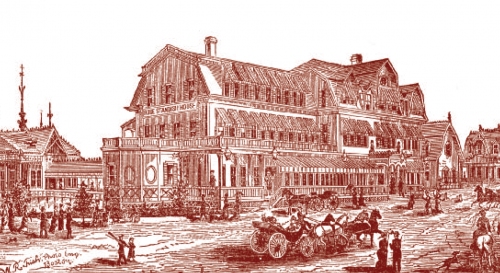 CAFE standards for cars and SUVs were separate. Those affecting cars were administered by the US Environmental Protection Agency, while those affecting light trucks (principally pickups and vans in the 1970s) were under the control of the US Department of Transportation. Wary of a political backlash from people who traditionally bought pickups— farmers and builders—Congress required less stringent standards on light trucks than cars. At the same time, more light trucks were being bought by ordinary consumers. The share of light trucks and vans in the overall mix of vehicles continued to rise, and combined new vehicle sales-weighted fuel economy worsened slowly. It fell from its 1989 peak of 26.8 mpg to around 25.4 mpg in 1999, as gasoline prices hit bottom in 1998. From that point, new vehicle fuel economy started inching upward again. Among the cars sold in model year 2007–2008, the average new car achieved over 30 mpg in tests, slightly better than required by CAFE, in part because of pressure from higher fuel prices. The mpg of new trucks and SUVs rose, partly due to tightened standards, reaching 24.2 mpg in both 2007 and 2008. The combined average was rising as well because the share of SUVs sold peaked in 2004. These changes gave Americans some comfort as gasoline prices hit a fifty-year high in the summer of 2008. Of course gasoline use depends on what level of fuel economy vehicles attain on the road, not in tests, and on how far they are driven. Actual fuel economy for the entire fleet of cars and household light trucks on the road approached 21 mpg by 2006, according to DOT estimates, and around 19 mpg when commercial light trucks are included. The estimated “on road” fuel efficiencies of each year’s new models, as calculated by the EPA, as well as of the entire fleet of cars and light trucks, are given in Figure 2. 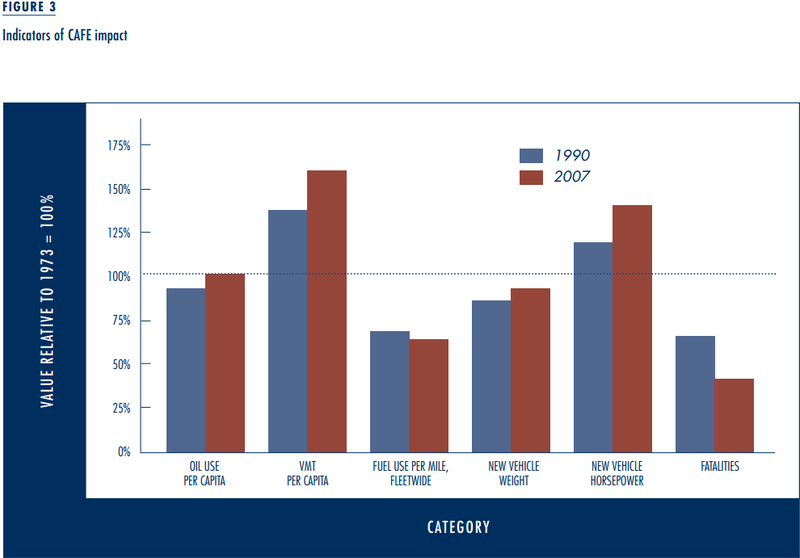 Figure 3 summarizes the changes in fuel economy and fuel use that have occurred since 1973, given 1990 and 2007 results. All values are compared to their 1973 level, which lies on the central line at 100 percent. The first bar shows the most important result: oil use for cars and household light trucks fell through 1990 and rose again only weakly, reaching margin- ally above its 1973 level in 2007. Since VMT per capita had increased almost forty percent over its 1973 level by 1990 and nearly sixty percent by 2007, and GDP per capita—a driver of both VMT and oil use—increased even more, the lack of growth in oil use per capita through 2007 is a sign that CAFE standards had a strong effect. 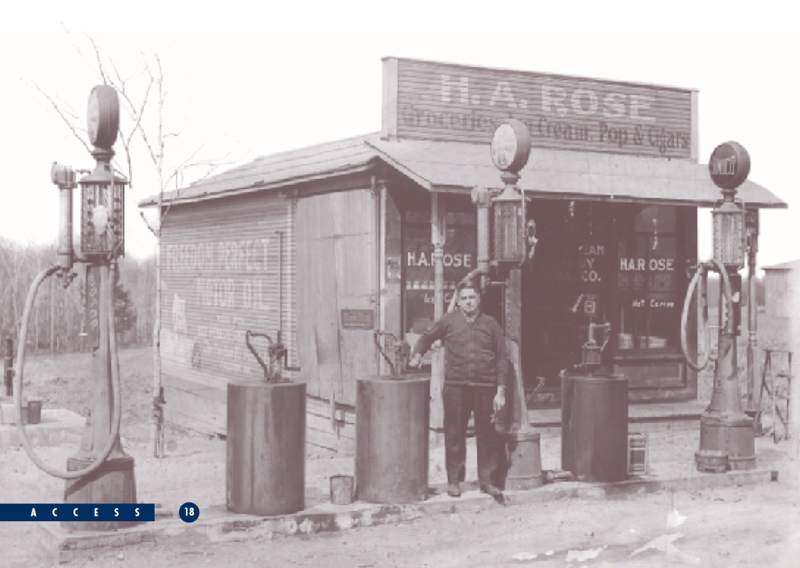 This can be seen in the bar showing fuel use per mile, which fell to around 65 percent of its 1973 level by 2007. The fact that oil use per capita in 2007 approached its 1973 value is explained by the large increase in the number of vehicles per capita, a consequence of 34 years of economic growth. That VMT per vehicle was slightly higher in 2007 than in 1973 should not be discouraging; it is well below what an extrapolation of the trends of the years before 2000 would have given. Figure 3 also shows that in 2007 new vehicles weighed almost as much as they did in 1973, and their horsepower was 25 percent greater. 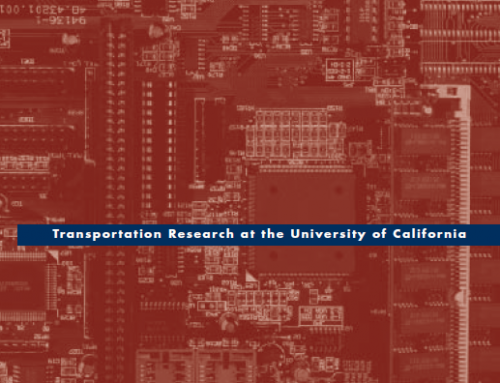 Vehicle technology has improved continuously since the 1970s—but instead of using it to make vehicles a lot more efficient, manufacturers developed larger and more powerful vehicles while barely meeting the CAFE requirements. There had been spirited Congressional debates about tightening the CAFE standards in 1991 and again in 2002, but no major action took place until late 2007, when concerns again arose about oil imports, rising oil prices, and to some extent the CO2 emissions from car use. While many energy experts saw tighter CAFE standards as an important move, the issue of their efficacy and overall results remained hotly debated. Two important National Academy of Sciences studies and a stakeholder project initiated by President Clinton in 1993 (“Car Talk”) left a great deal of dissent on the record. In the end Congress enacted a significant increase in CAFE in 2007, and President Obama gave the EPA the go-ahead to implement the new standards. Still, the discussion over tighter fuel economy standards continues. Why has there been such a protracted dispute over light-duty-vehicle fuel economy standards? David Greene has summarized the arguments in two important articles. One early analysis asserted that while cars had become more efficient, drivers were using them more, in part because fuel cost them less. This “rebound effect” offset part of the gains. Another critique estimated that there were two to four thousand extra traffic deaths every year because CAFE standards forced automakers to make lighter—and therefore less safe—cars. Others maintained that the new technology was simply too expensive. The US auto industry itself has seemed to adhere to the viewpoint that small cars make small profits. But other research has countered most of these challenges. Greene and Maryanne Keller, writing in the 2001–2002 NAS study on fuel economy, pointed out that the difference in weight between colliding cars is what causes most damage, and that other safety measures offset risks from lighter weight cars. Indeed, the rate of traffic deaths per mile driven has fallen steadily throughout the period that CAFE standards have been applied. Most researchers acknowledge the existence of the rebound effect but have found it to be small, on the order of two to five percent. While even a small rebound effect will increase congestion somewhat, placing a cost on that increase depends on when and where the increased car use occurs, and additional travel is most likely to be for discretionary trips that occur outside of congested periods. Exactly how much more a car meeting CAFE standards costs relative to one not meeting standards is difficult to estimate because it’s never been possible to choose between the two. Moreover, there is a wide range in the fuel economy of cars with roughly the same acceleration, weight, power, etc. The 2002 National Academy of Sciences Study estimated that taking a mid-sized car from a baseline of 26 mpg to almost 40 mpg would cost slightly over $3000, while getting a subcompact from a baseline of 30 mpg to slightly over 41 mpg would cost $2000. By calculating average annual fuel use and including the small rebound effect, one can project substantial fuel savings. Would buyers be willing to pay these initial extra costs to save fuel over three to five years? That depends on gasoline prices, on how consumers discount future savings, and on whether consumers trust the projected returns. Gasoline prices do have an important role in this evolution. 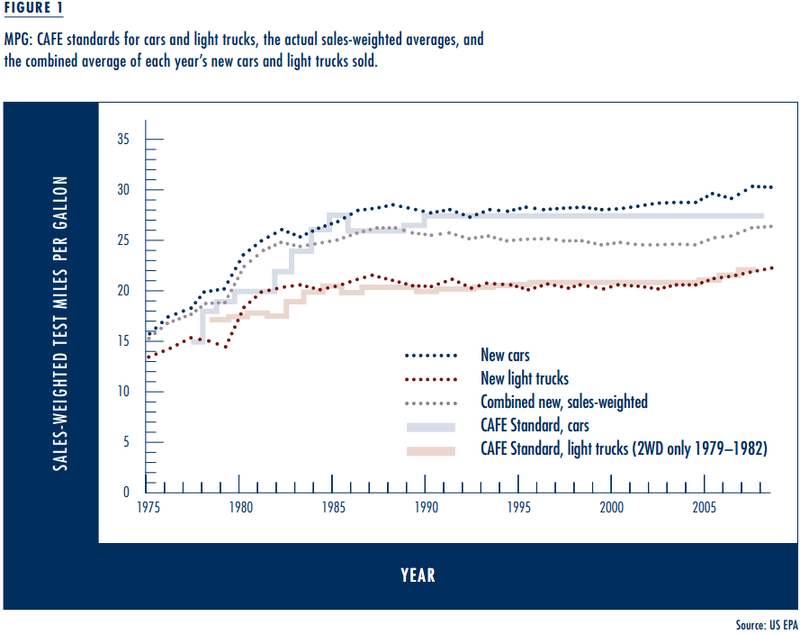 Greene concludes that, while CAFE standards account for roughly two-thirds of the improvement in fuel economy up to 1989, higher fuel prices account for the rest. And the modest rise in new car mpg above CAFE requirements during the most recent period of rising fuel prices (2002–2008) also point to the role of fuel prices. But CAFE provoked producers to develop and incorporate more fuel economy technology than they otherwise would have in response to short-term price swings. CAFE thus helped compensate for consumer myopia about tradeoffs between vehicle price and fuel-saving technologies or future fuel savings. Greene points out that without the standards, buyers might find more immediate satisfaction in better floor mats and a fancier car stereo than in a future stream of fuel savings. The tightening of CAFE standards in 2007 was welcomed by many observers. New vehicles must achieve 35 mpg in tests by 2020, and manufacturers’ cars and light trucks are counted together. Accounting for somewhat less favorable on-road performance, the new standards imply that the fleet will eventually achieve 28 mpg, about forty percent higher than today. Put another way, our cars will use almost thirty percent fewer gallons per mile when the standards finally work their way through the fleet, some time in the 2030s. Are these strong enough standards? One way of judging the strength of the new standards is by comparison with Europe and Japan. Auto manufacturers in those areas entered into voluntary agreements to increase fuel efficiency, with a target of about 37 mpg in tests. In 2006 all European cars averaged about 29 mpg—a level of on-road performance that the new US standards won’t bring to new cars until 2020—and in Japan the car fleet averaged about 23.5 mpg, compared to 21 mpg in the US. European and Japanese new car fuel efficiency has improved steadily, and new vehicles sold in Europe in 2006 averaged about 32 mpg on the road, in Japan about 33 mpg. The European and Japanese experience suggests that even voluntary agreements can make a difference. That the European voluntary agreements did not achieve their targets led to even tighter mandatory standards, although the final level and deadline is still being debated in Brussels. Cars in Europe and Japan use less fuel than those in the US almost entirely due to differences in power and weight. In the EU, the average new car weighs about 550 kg less than a new US car; new European cars have about 115 HP, while new US cars average over 200 HP. Fully one third of new Japanese cars are mini-cars, which helped the Japanese market exceed its voluntary targets. A key unknown is whether Americans will buy smaller, less powerful cars in the next few years while US manufacturers (if there are any left) develop more fuel efficient technologies. The dramatic decline in gasoline prices—November 2008 levels fell back to where prices were in 2005—certainly removed the pressure for Americans to think smaller. At the same time, present economic uncertainties are having a devastating effect on the new car market. While this means fewer expensive large cars will be sold, a slow market also inhibits the entrance of more efficient vehicles into the stock and squeezes investment and development plans of cash-strapped manufacturers. It is hard to expect significant improvements in new US vehicles, even with an increased share of hybrids, if car size and weight remain where they are. But if the nation’s drivers accept more modest vehicles than they drive today, a CAFE average above 40 mpg probably could be achieved. Indeed, meeting California’s hoped-for greenhouse gas emission standard would require a test CAFE average of approximately 43 mpg. The Bush administration opposed this standard in a long series of administrative and court battles. Although President Obama reversed that opposition, the California standard is unlikely to be implemented on the original time table, which called for improvements by 2009. One way or another, one expects the US eventually to meet the new CAFE standards. However, increases in population between 2008 and 2037 alone are likely to offset greater efficiency. Some combination of even more efficient vehicles, fewer cars per capita, and fewer miles per car per year must also occur just to hold fuel use steady. And if the price of gasoline remains at the relatively low level of early 2009 after economic recovery, auto manufacturers may have problems meeting the standard if consumers turn back to larger cars. This is where one of Charlie Lave’s important ideas enters. He felt that most forecasts of car use were too high, both because of the saturation of ownership and because of a number of effects that would limit or even reduce VMT. One was congestion, which would slow us down and to some extent reduce how much we drive. Another was the aging of the driving population itself—older people, particularly retirees, tend to drive less than younger or economically active people. If the increase in driving were to slow, as Lave suggested, then there would be less upward pressure on oil demand and imports, and therefore a stronger CAFE might not be needed. But Lave believed that even with a possible slowdown in VMT growth, CAFE standards were important. Both oil and climate concerns suggest that even the current level of US oil use for light duty vehicles is too high. Initial enthusiasm for biofuels has dampened because of concern about costs and wider environmental impacts, and in the case of corn-based ethanol, whether that fuel even saves greenhouse gas emissions at all. 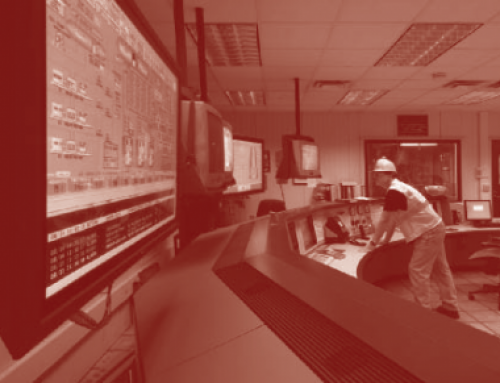 Efforts to make gasoline or diesel fuel from natural gas, coal, or shale also face severe cost and environmental constraints. Experts have little real expectation of significant increases in conventional US oil and gas production. With the plummeting of crude prices in November to less than a third of what they were in July, the International Energy Agency warned of a supply crunch once the current recession ends. In short, both conventional fuels and other hydrocarbon-based fuels will cost more. And significant quantities of truly low-impact, low-carbon biofuels are not available nor expected in the next ten to twenty years. With these prospects for the future of fuels driving US mobility, the US seems to have only one choice, namely to both push for even greater fuel economy and pursue policies that will reduce car use, increase the use of other modes, and reshape communities to be less dependent on cars. These alternatives will not be easy to realize if fuel prices remain low for a long period of time. They require increased attention to land use planning and appropriate pricing of car use, both in proportion to distances driven and to economic, social, and environmental costs. These measures can be justified both to raise money for transport infra- structure and to assure that where capacity is limited, i.e. on bridges or in congested areas, it is better used. Unfortunately Charlie Lave is not with us to apply his skills to this problem. In retrospect, the CAFE standards enacted in the 1970s were a good legacy that can serve us even better. Tighter standards, resulting in greater fuel efficiency and more mod- est, more efficient vehicles, perhaps augmented by a gradual increase in the fuel tax, would reduce the risks of instability in world oil markets as well as US emissions of CO2 from our transportation system. Robert W. Crandall and John D. Graham. The Effect of Fuel Economy Standards on Automobile Safety. (The Brookings Institution and Harvard School of Public Health, NEIPRAC Working Paper Series, No. 9. Cambridge, Mass. : New England Injury Prevention Center, 1988). David L. Greene, “Why CAFE Worked,” Energy Policy, vol. 26, no. 8, 1998. David L. Greene, “Estimating the Fuel Economy Rebound Effect for Household Vehicles in the U.S.,” The Energy Journal, vol. 20, no. 3, 1999. Robert A. Leone and Thomas W. Parkinson. Conserving Energy: Is There a Better Way? A Study of Corporate Average Fuel Economy Regulation (Washington, D.C.: Association of International Automobile Manufacturers, 1990). National Research Council. Effectiveness and Impact of Corporate Average Fuel Economy (CAFE) Standards. (Washington, DC: National Academies Press, 1992). National Research Council. Automotive Fuel Economy: How Far Can We Go? (Washington, DC: National Academies Press, 2002). Lee Schipper. Automobile Fuel. Economy and CO2 Emissions in Industrialized Countries: Troubling Trends through 2006. Submitted to Transport Policy, 2009.